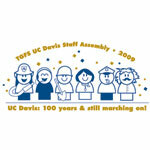 Thank you for joining us in the celebration of UC Davis’ 100th birthday this past year. These events show how we celebrated our year by highlighting our proud tradition of educating the next generation to tackle society’s toughest problems and spurring innovation with an ethic of hard work, collaboration, and optimism. 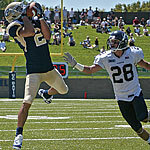 We welcome UC Davis’ second century. The State Fair gives UC Davis a unique chance to celebrate our Centennial and build awareness among the Fair’s nearly one million visitors during its 16-day run. The 6,000-square-foot educational pavilion will feature UC Davis on the leading edge of innovation in agriculture, health, energy, environment, healthy food, information technology, quality of life improvements and education. Check out what UC Davis is exhibiting. The Chancellor’s address is the traditional launch of the new academic year and an ideal opportunity to welcome the Centennial class and have some birthday cake! The UC Davis Symphony Orchestra celebrates the coincidence of its 50th anniversary and the university’s centennial with a season opener of seminal works and inspiring artists. Under the direction of D. Kern Holoman and Jeffrey Thomas, soloist Jorja Fleezanis on violin will join the symphony and University Chorus for works by Beethoven and Brahms. 8 p.m. Jackson Hall, Mondavi Center. 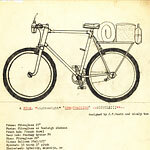 The California Bicycling Museum, in which UC Davis is a partner with the city of Davis, is presenting an exhibition to coincide with the university’s centennial celebration. The display features bikes from the museum’s Pierce Miller collection, dating back to the bicycle’s invention in the 1820s. Museum hours are 9 a.m. to noon Saturdays and 4 to 6 p.m. Wednesdays. 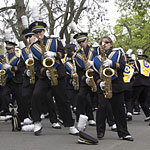 Our annual open house has been going on since 1909, with parades, bands and camaraderie. This will a very special Centennial Picnic Day. Begin your day with the pancake breakfast, proceed to a good spot to watch the parade, check out the talent shows, find a seat for the dachshund races and end your day listening to the Battle of the Bands. 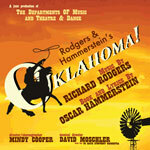 As their tribute to the UC Davis Centennial, the departments of Music and Theatre and Dance will present Rodgers & Hammerstein’s “Oklahoma!” in Mondavi Center’s Jackson Hall. The cast of 30 will be directed by Mindy Cooper, the 2008-09 Granada artist-in-residence in the Department of Theatre and Dance, with musical direction by David Moschler. 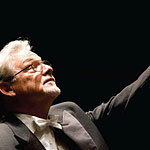 Tickets are already on sale through the Mondavi Center Box Office for the five performances. UC Davis’ centennial commencements promise to be memorable for thousands of graduates, parents and other loved ones. Individual college and school ceremonies begin with the School of Law on Saturday, May 16, and end Sunday, June 14 with the College of Letters and Science. While most of the events take place in the Activities and Recreation Center Pavilion, four will take place at Mondavi Center’s Jackson Hall. 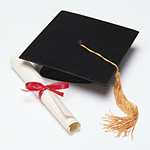 For the particulars of each graduation, visit our commencement site. 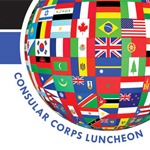 UC Davis welcomes the Northern California World Trade Center’s Consular Corps lunch, with more than 40 countries represented. Featured guests will be the administrator of the USDA’s Foreign Agricultural Service and the vice chair of the U.S. International Trade Commission. Students interested in attending should contact Mabel Salon at or 530-754-2008.